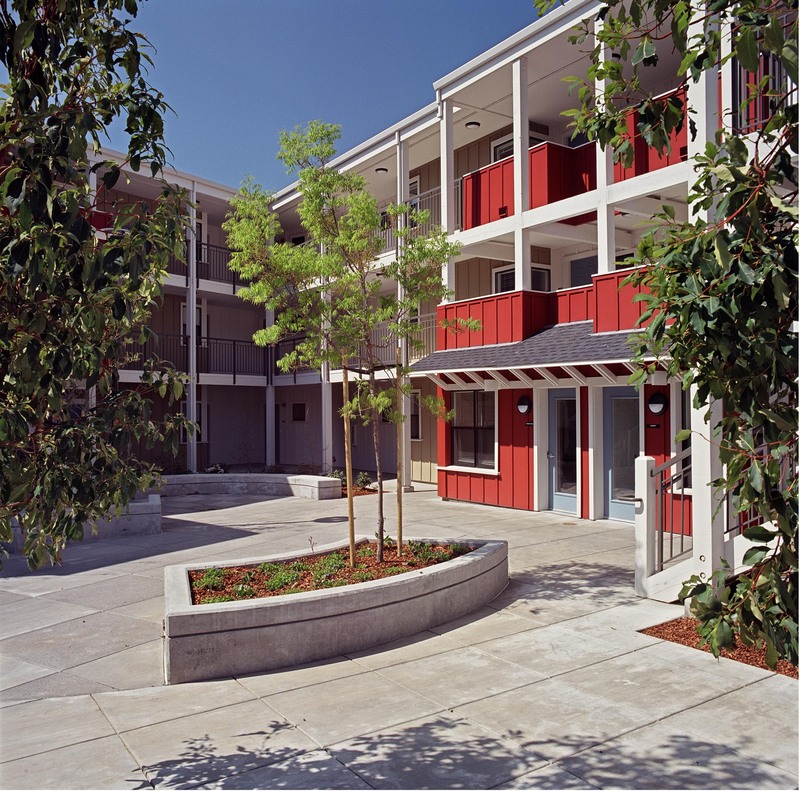 Eastmont Court is a 19-unit infill special needs housing development in East Oakland. By adding prominence to the corner site, the building repairs a gap in the existing neighborhood fabric and forms a protected courtyard for the outdoor enjoyment of the residents. The building and public spaces are fully accessible. 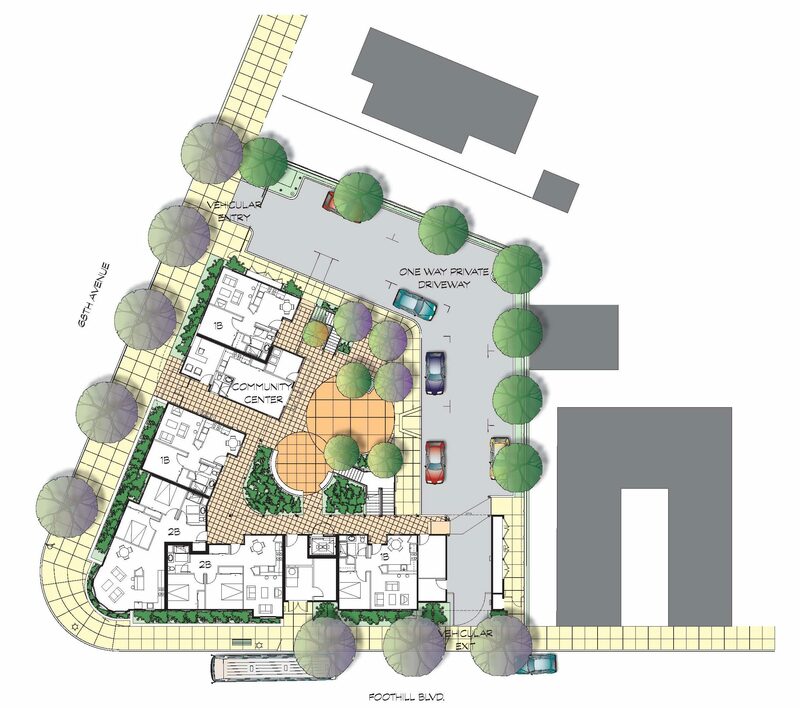 The surrounding community and disabled user groups were part of the design effort. 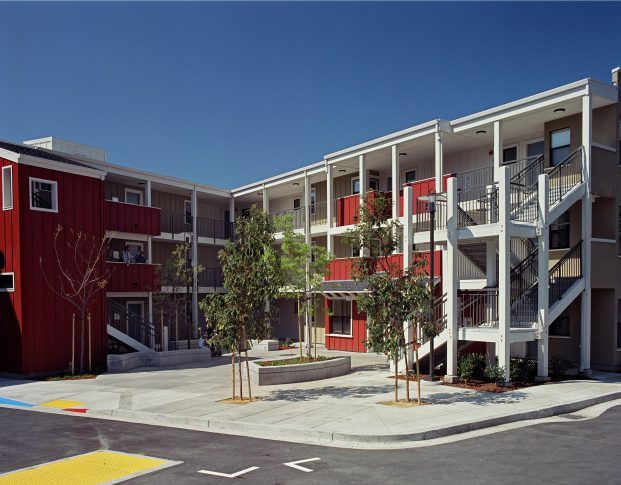 The development is funded by the HUD 811 program and provides much needed housing to low income special needs residents of Oakland. 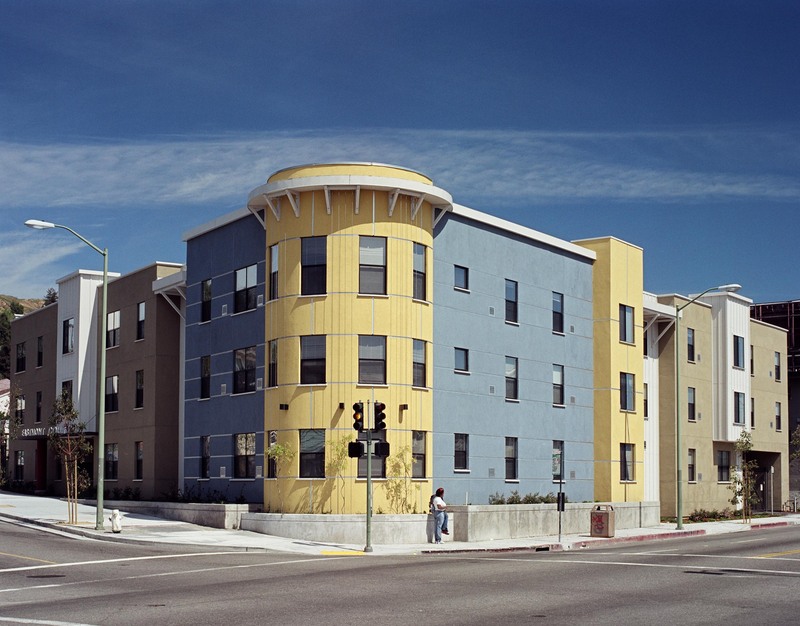 To establish an urban corner at a prominent intersection while creating an inviting place to live. 100% ADA accessibility including open space, common areas and units. All units include built out access bathrooms with special features like automatic entry door and accessible showers in 20% of the units.